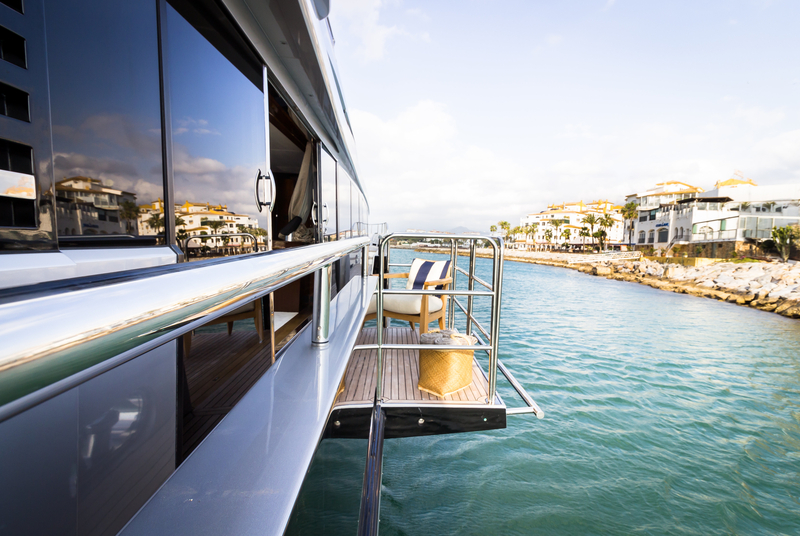 West Nautical is proud to announce a new addition to their sales fleet: Seabeach. 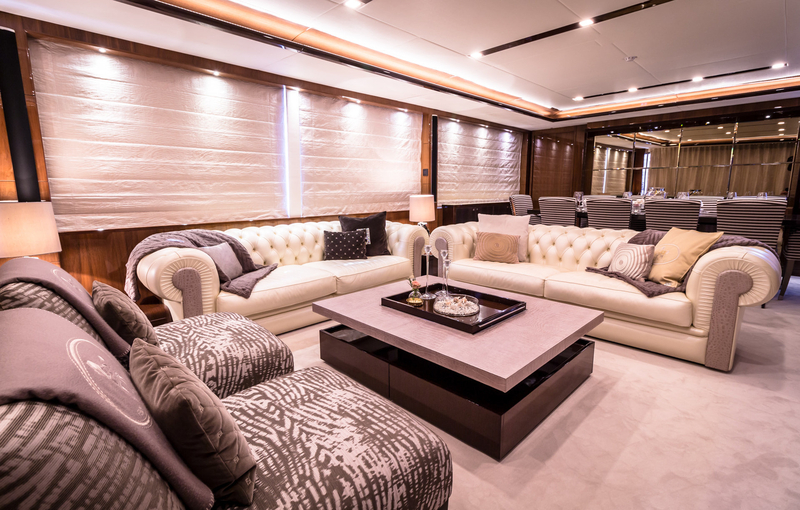 The 32m Princess yacht’s newly ‘for sale’ status represents an exciting prospect for buyers, and will undoubtedly generate a great deal of interest. This 2013 build cuts an impressive figure, with a chic jet black and grey exterior designed by Bernard Olesinski. Stepping on board, Seabeach is contemporary with timeless elements, featuring the addition of a starboard-side fold out balcony in the main salon that enhances the theme of indoor/outdoor living. 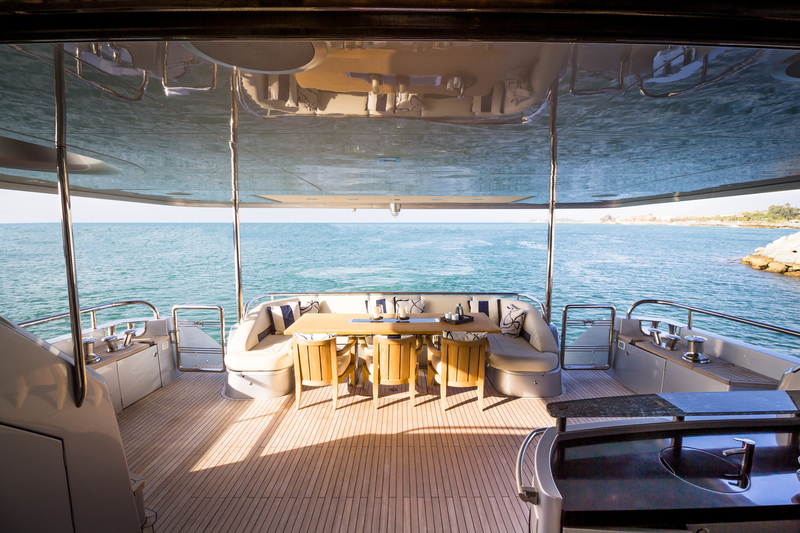 The exterior builds upon this theme, with sprawling decks that provide ample room for outdoor ocean living – think alfresco dining, evening socialising and sun soaked lounging. 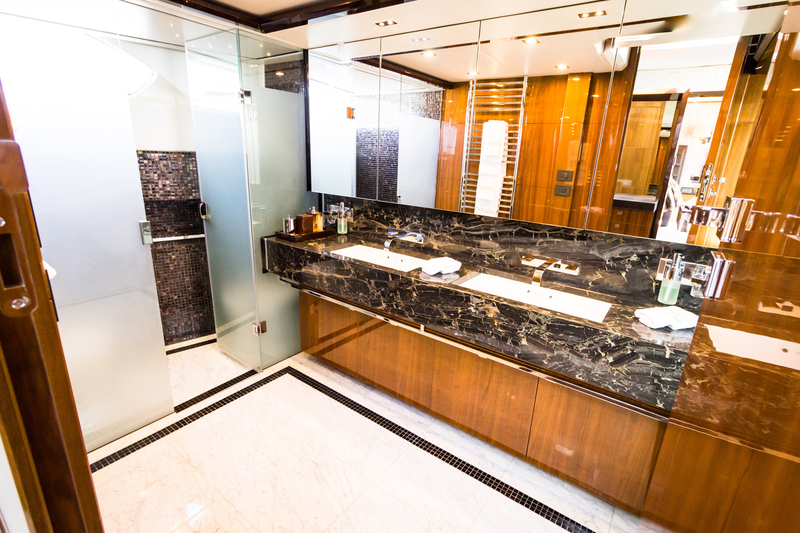 The sundeck is particularly noteworthy for its retractable roof, hot tub, sunbathing area, bar and barbeque. 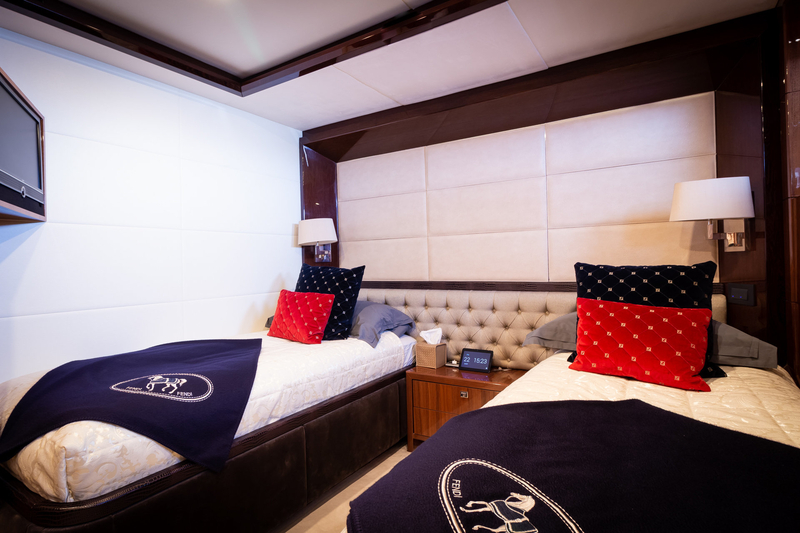 Seabeach is able to accommodate 8 guests. 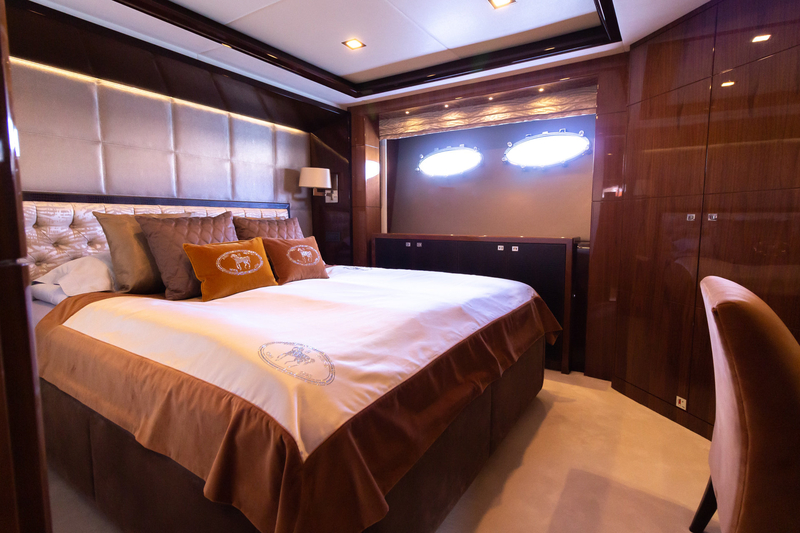 The generous master cabin boasts a separate office or dressing space with desk and storage, whilst a VIP cabin aft, one double cabin and one twin cabin benefit from beautifully finished en suites adorned with Fendi linens. 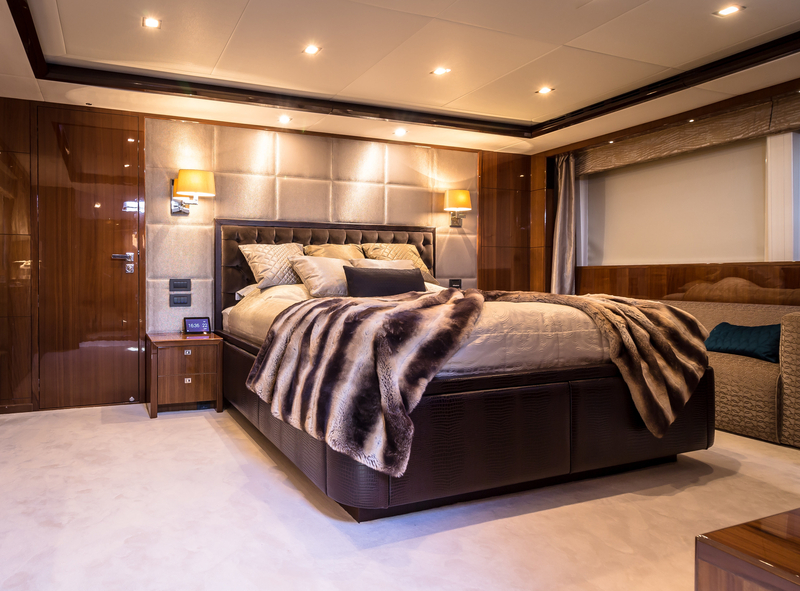 The Princess build is also a yacht in exceptional mechanical and aesthetic condition, featuring zero speed stabilisers ensuring maximum comfort whilst cruising and at anchor. 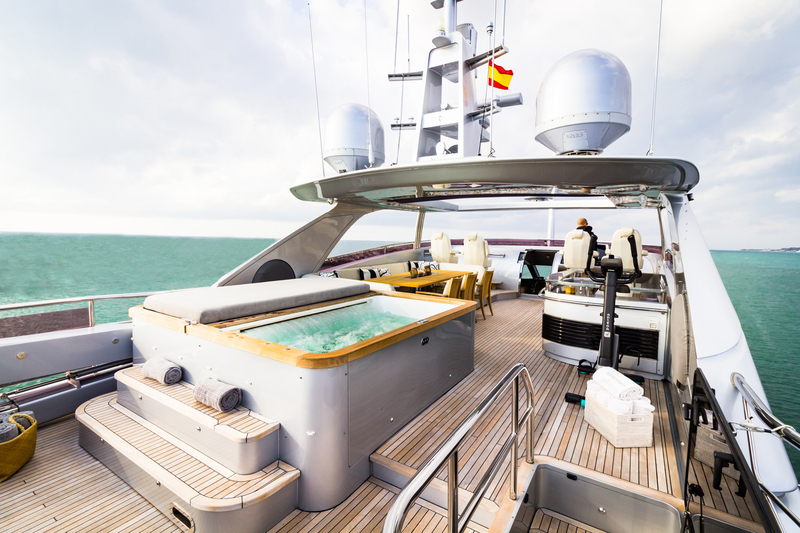 Seabeach represents a once in a lifetime opportunity for a buyer on the lookout for a vessel in turnkey condition, to be ready for Mediterranean cruising this summer. 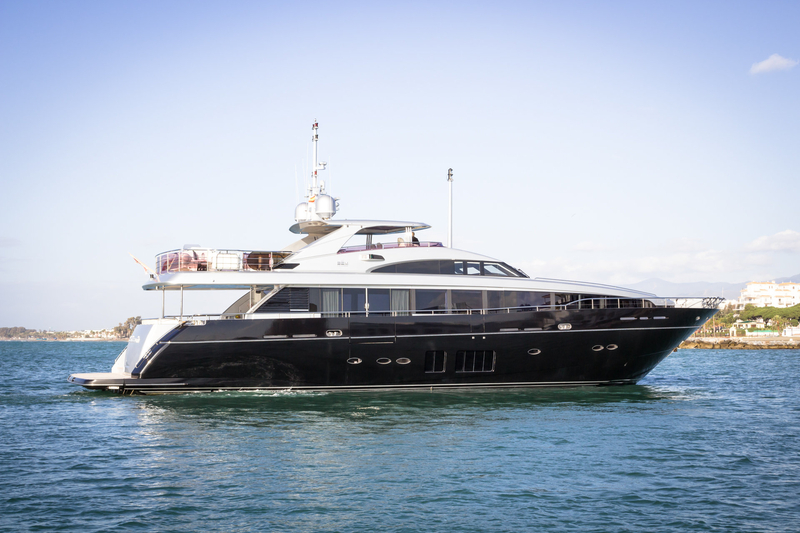 She is currently available for viewing in Marbella, Spain, with the specialists at West Nautical.